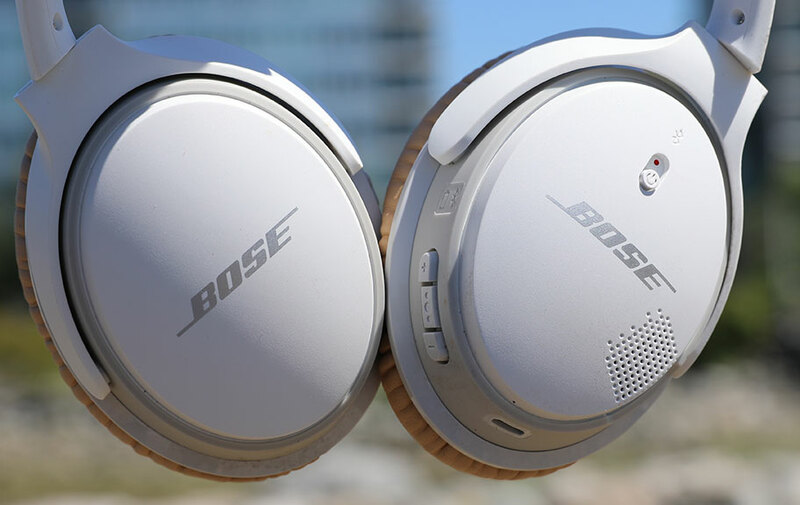 Bose made their name with noise-canceling tech. They've earned their reputation for it - it's among the best in the world - but how do they fare when they create a pair of headphones that don't have any noise-canceling capabilities? Stepping into the ring, the SoundLink II. In this review, we break down the sound, design, comfort and fit, packaging and accessories, specs and more of the SoundLink IIs. To see alternatives, check out our list of the best wireless headphones. 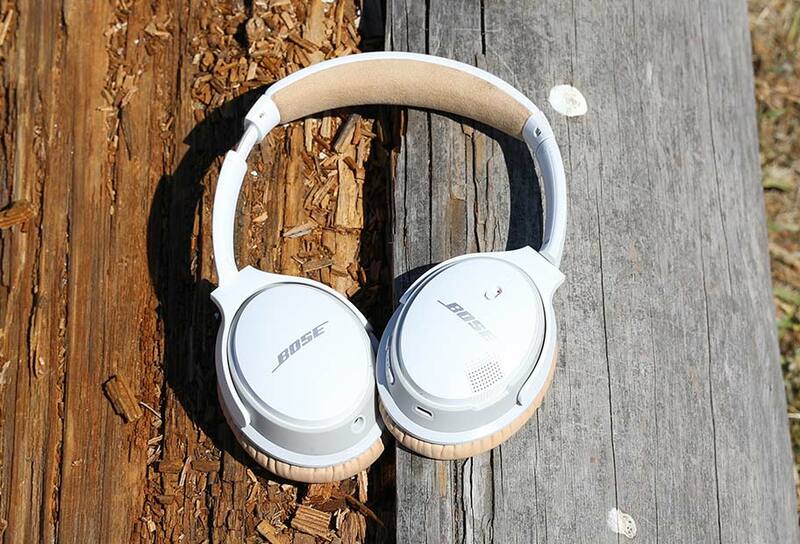 The sound quality Bose SoundLink II wireless headphones is never going to raise pulses. Oh, it's perfectly fine. It will get the job done. But if you were to apply any adjectives to describe it, 'exciting', 'dynamic', and 'engaging' would not be the ones you'd choose. It's as laid-back and calm as a stoner at 4:25pm on April 20th. 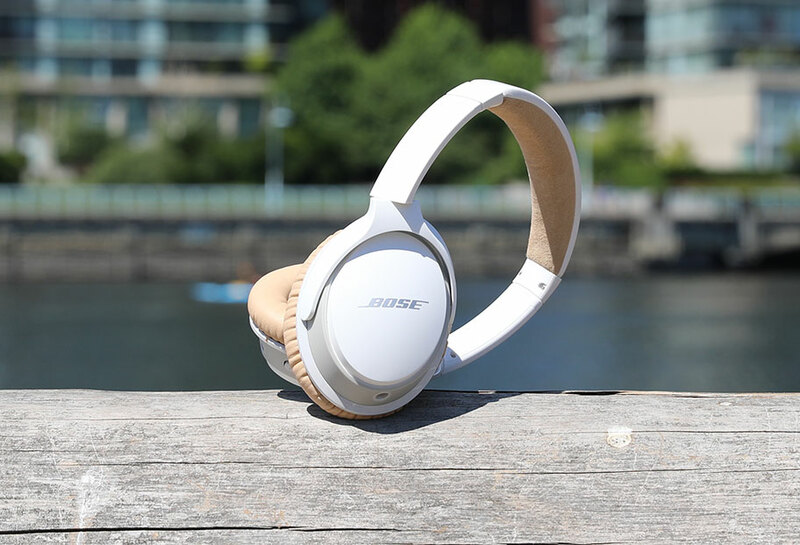 In this, it shares a lot with the model that succeeded it, the Bose QuietComfort35 II (full review here) - often abbreviated as QC35 II. We'll go into the main differences between these models in a little more detail below, but the audio quality of the two is almost identical. We say almost: the noise-canceling tech on the QC35 IIs leads to a very slight muffling of the sound, and what that means is that the SoundLink IIs have improved detail and clarity. The overall impression here is of clean, crisp, precise audio. It feels balanced and neutral, like you're hearing the music in the way the artist intended. The one thing the SoundLink IIs sacrifice is bass. If you're a fan of hip-hop or EDM, you're going to want to steer clear of these, perhaps in favor of something like the Beats by Dre Solo3 Wireless. Those are far more expensive, at $330 to the SoundLink's $229, but offer better battery life and better bass. The low-end of the SoundLink IIs feels diminished, not just in comparison to other headphones, but in and of itself. It's still there, but it very much keeps to itself, hovering in the background. For some people - us included - it felt a little too recessed. Music needs some action and energy down low, and right now it feels like the SoundLink IIs are unwilling to do any of the heavy lifting. If your primary jams are folk or acoustic rock, then you'll have less of an issue, but it's still a frustration. One thing the SoundLink IIs definitely get right, however, are the highs and the mids. They're not jaw-hitting-the-floor incredible, but they certainly do the work the low-end doesn't. They present a sound signature that feels substantial enough to enjoy, with some excellent detail. We really got a sense of definition with elements like finger-snaps, cymbal crashes, and strings. Given their lack of energy in the bass, we were a little worried about how they'd handle something like movie soundtracks and classic music - with a wide range of sounds, they're often challenging for headphones to handle. But the SoundLink IIs performed well, and with convincing sound. They reminded us of the old Sennheiser HD 4.50; those headphones may have had noise-canceling tech installed, but they still managed to deliver some decent high-end detail. We definitely prefer the SoundLink IIs - they're better headphones, overall - and we'd pick the QuietComfort35 IIs for noise-canceling. But it does help that the Sennheisers are cheaper, at around $200 compared to $229 for the SoundLink IIs. In terms of volume, these headphones aren't going to satisfy those who really want to pump their music. We generally advise not to do this - for the love of all that is holy, people, protect your ears - but some do like it loud. In this particular area, the Bose are unlikely to satisfy. It's a problem they share with earlier models - like the QuietComfort25s - and while it isn't a major problem, it's worth mentioning. However, there's another side to this. The headphones use some fancy equalization (EQ) tech to make the music sound better when the volume is low. It's not a huge difference, but it's definitely detectable, although you will need to be in a quiet place to appreciate it. Going wired - plugging the headphones into your phone or laptop with the included aux cable - improves this. It cuts the EQ, and boosts the overall volume a little.Call quality, by the way, was just fine, with minimal distortion and clear voices. 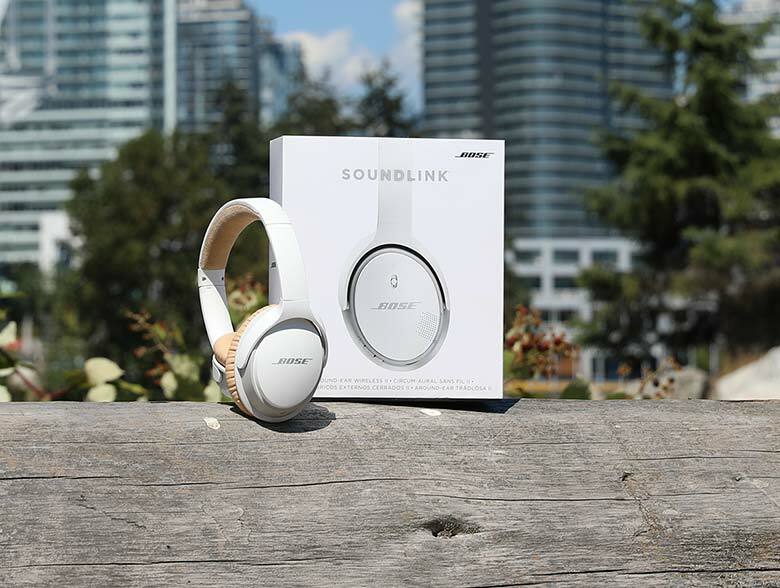 You'd be forgiven for thinking that the SoundLink IIs are just a different-color version of the Bose QuietComfort35 II. They are that similar. But the SoundLink IIs came first, and established the DNA for the wildly-popular QC35 IIs. They look identical, with the same oval cups and flexible headband. 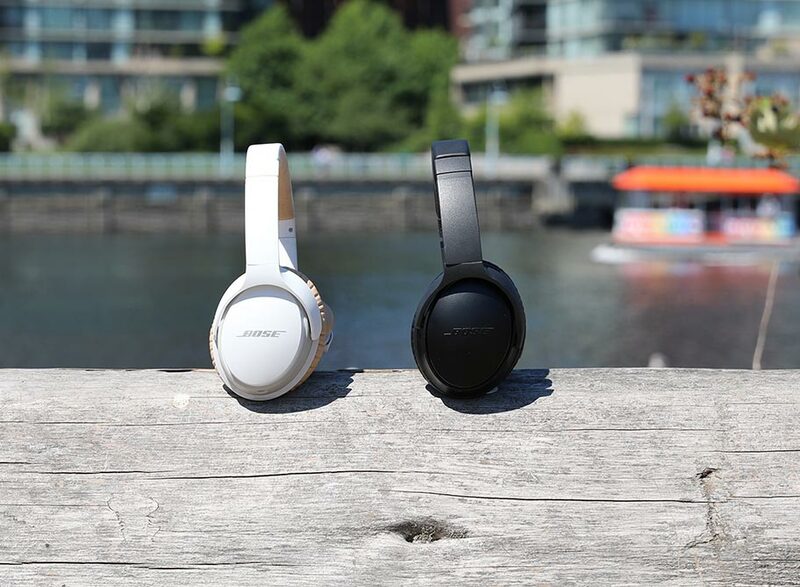 The color differences are minimal; you can get the SoundLink IIs in black or white, and the QC35 IIs in black or silver. That...is about it. The similarities between them are largely about what's under the hood. Very obviously, the QC35 IIs have noise-canceling, and the SoundLink IIs do not. The noise-canceling alone is reason to buy them, because it's absolutely fantastic. The headphones also have the ability to work with Siri and Google Assistant, and are lighter and a little louder, thanks to their improved neodymium drivers. They also fold up completely, where the SoundLink IIs only do so partially; the QC35s are much easier to tote around. However, all those improvements come at a price: $349 versus $229 at the time of writing. Ultimately, it's the noise-canceling that proves the biggest difference here, and you should base your buying decision on that. The SoundLink IIs might not be lookers - not with their staid and sensible color schemes, and undistinguished shape. But what they lack in fashion sense, they more than make up for in build quality. Despite being made of plastic, they feel robust and high-quality, with a pleasing firmness to the cups. It's easy to imagine dropping them without much worry about damage. They have a similar feel to the Plantronics BackBeat PRO 2 - which, coincidentally, offer noise-canceling at a much cheaper price ($146). It's a look and design that largely works. Like the sound, it's not going set hearts a-flutter, but it's certainly not going to offend anyone. Here's one odd thing about the battery life of the SoundLink IIs: it's actually less than the QC35 IIs, mentioned above. Those clock in at around 20 hours, but we only squeezed about 13 from the SoundLink IIs before we needed a recharge. That's not a bad thing, necessarily - 13 hours is still more than enough to cover a transatlantic flight plus a couple of hours on either end - but it's not amazing. For reference, the EVEN Earprint H2 Wireless are only $10 more, offer personalized sound, and deliver around 20 hours of battery. However, the SoundLink IIs do offer extremely fast charging: 15 minutes gives you two hours of battery life. We tested this a few times, and it works like a charm. Bose have never struggled with this particular aspect of their headphones. They are almost always a dream to wear: light, comfortable, and with excellent isolation. We were able to wear these for hours at a time without any issue, thanks to their soft and squashy cups. We also appreciated just how light they were. At just over seven ounces, they remain one of the lighter wireless headphones currently available. They are slightly lighter than the absurdly-popular Beats by Dre Studio3 Wireless, which clocked in at nine ounces. They also sound absolutely awful and cost more – $350 to the SoundLink II's $229. It also helps that the headband has a pleasing amount of flex to it, and comes with a pliable strip of fabric. It's very easy to get a good fit, thanks to the smooth height bracket adjustment. We had zero problems here, and in terms of comfort over long periods, the SoundLink IIs are among the best wireless headphones available. Because the SoundLink IIs don't completely fold up, they're a little tougher to transport than other wireless headphones. However, Bose have a track record of creating decent cases, and the one that comes with these headphones is no exception. 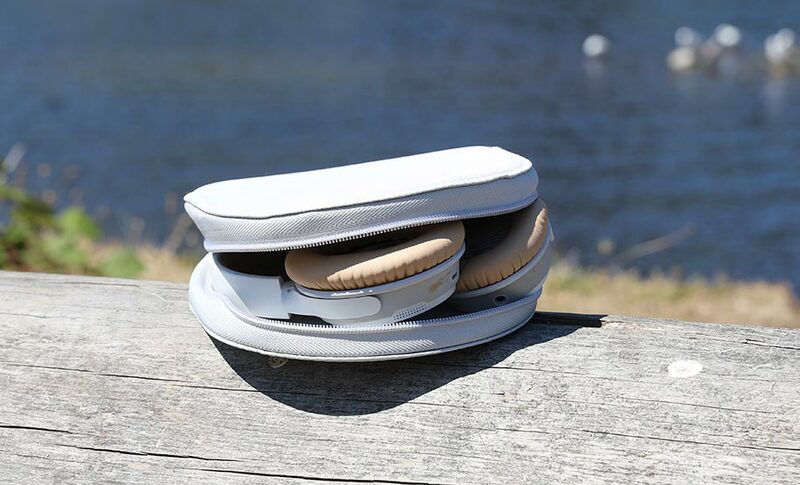 It's simple, but effective: a soft zippered case that allows you to slot the headphones right in, with a small internal pouch to hold the included cables. Like the sound and design – and call us crazy, but we seem to be developing a theme here – the case is functional, but unexciting. If you want an example of a headphone case that truly blew our minds, take a look at the Nuraphone (full review here). It remains one of the best examples of what an accessory can look like, with a little bit of forethought and ingenuity. Outside of the case, you get a fairly standard set of cables, including a USB charging cable and a short Aux connector. The box the SoundLink IIs come in is unremarkable, with a simple fliptop design that flits out of the mind as quietly as it flitted in. 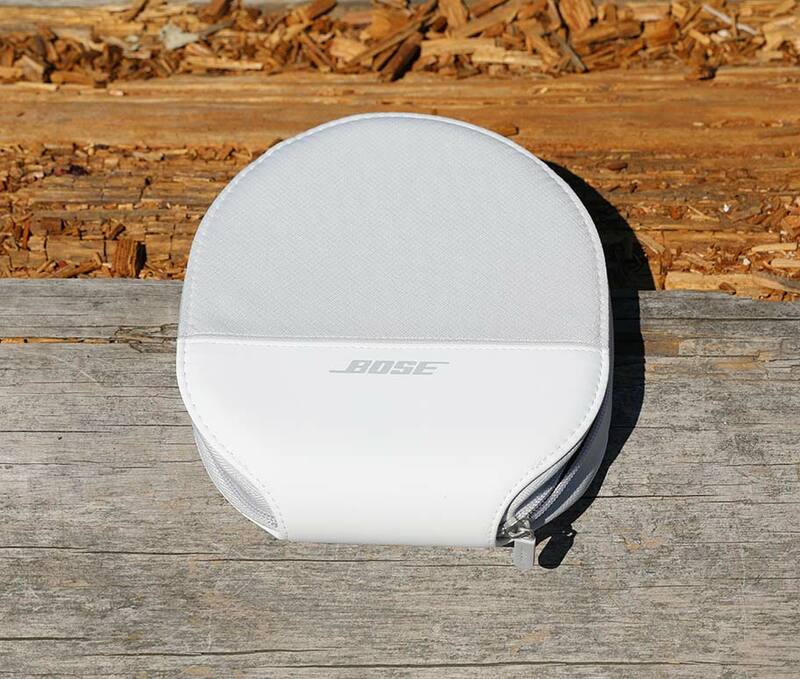 The Bose SoundLink IIs deliver excellent detail in the highs and mids, tackling most genres of music without any issues. They are comfortable to wear for long periods, and have great isolation. They feel robust, with decent build quality, as well as good accessories. The bass of the SoundLink IIs is unexciting, with no life to it. These headphones aren't for those who like a bit of boom. The battery life is acceptable, but not amazing. Newer models have improved on it. Volume was a slight issue - if you like your headphones loud, you'll want to steer clear of these. The most obvious competitor, in terms of wireless headphones that don't offer noise-canceling, are the Beats by Dre Solo3 Wireless. Our take is very simple: avoid the Beats at all costs. Yes, you do get improved bass, but they suffer in just about every other aspect. Their overall sound quality is trash, borderline unlistenable, and they just can't match the SoundLink IIs for build quality and comfort. It also hurts their case that they are far more expensive - $330 to the Bose's $229. The extra money doesn't get you a hell of a lot, although you do get a full range of colour options. The ones we currently have knocking around our office are such a bright red that our eyeballs have been permanently seared. Bose may not be an ambassador for excellent sound, but they do a lot of things right. If this world were just good, they would have beaten the Beats long ago. The Sennheiser HD 4.50 are also worth talking about. They're quite old now, but they still manage to deliver great functionality. 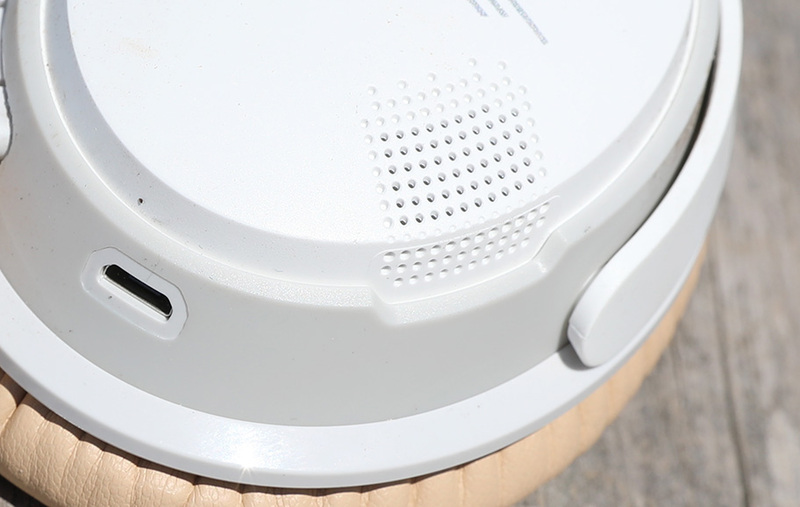 You get more battery than the SoundLink IIs - around 23 hours – as well as solid sound quality. The latter is hardly surprising – this is Sennheiser after all – but what is surprising is just how much these headphones offer for what they cost. Their price tag is down to $200, after having been out for a little while, and they deliver not only excellent Bluetooth, but active noise cancelation. If you want a pair of headphones with just a touch more pizzazz, and don't want to spend the $229 Bose are asking for the SoundLink IIs, give these a try. 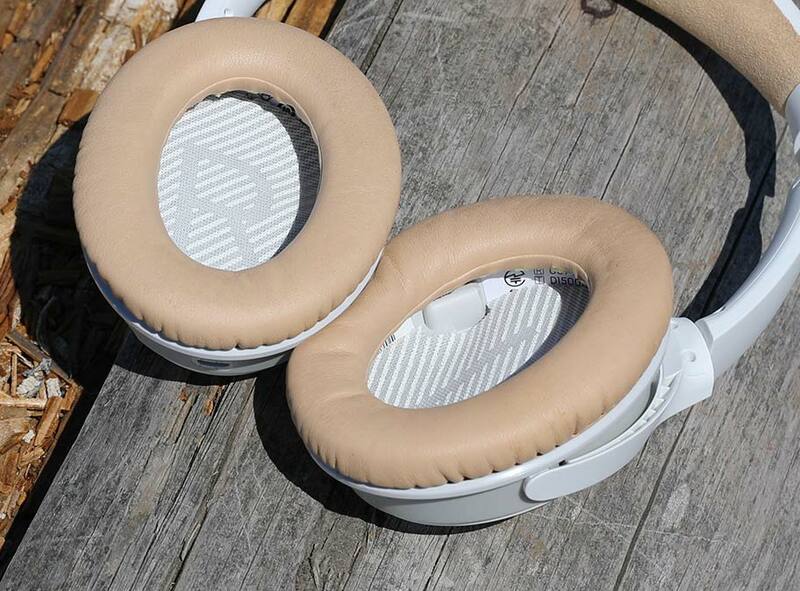 For something a little different, try out the EVEN Earprint H2 Wireless headphones. Although they cost a fraction more than the SoundLink IIs, at $230, they have a much more exciting sound – especially when you factor in the audio personalization. The headphones actually analyze your ear canals, and adjust the sound accordingly. While that won't appeal to everyone, we had a lot of fun listening to them. Their wooden design and playful aesthetic had a lot more character than anything Bose could offer. That being said: they aren't nearly as comfortable as the SoundLink IIs, and are on-ear rather than over-ear. On-ears have slightly reduced isolation, which means you'll get more of the outside world, and they come sometimes pinch the skin of the ear itself. 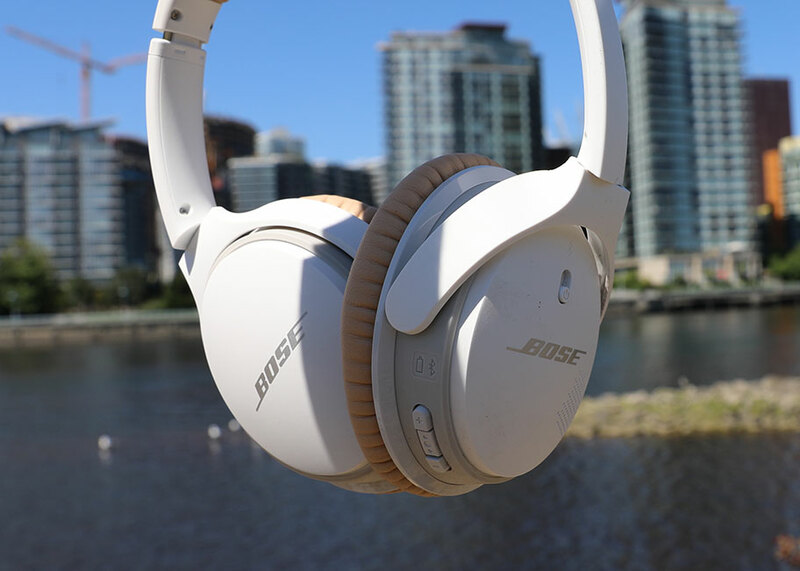 And finally: if you're prepared to spend more money, then we unhesitatingly recommend the Bose QuietComfort35 II headphones. These are the company's latest, most popular sellers, and with a lot of bragging rights. The noise-canceling technology is the best in the world – bar none, bar nothing. Very few even come close. The design is virtually identical to the SoundLink IIs, with only the addition of a control button for the cancelation and smart assistant functionality. The sound, too, is similar – and is, in our opinion, ever-so-slightly worse. The noise-canceling muffles the sound a little, meaning there's a little less detail. It's not a big deal - and the amazing cancelation tech makes up for the flaws. The headphones are more expensive, at $349, but we still adore our pair, and we think they are one of the best wireless headphones available.